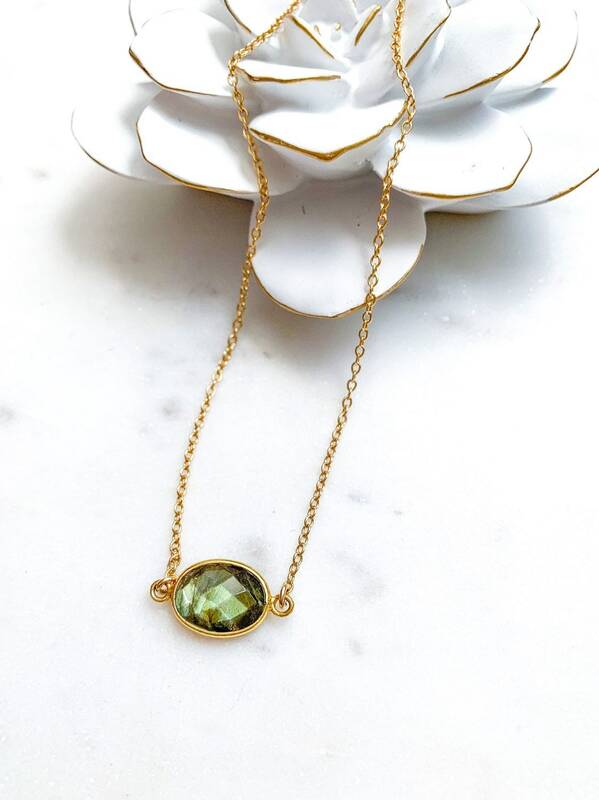 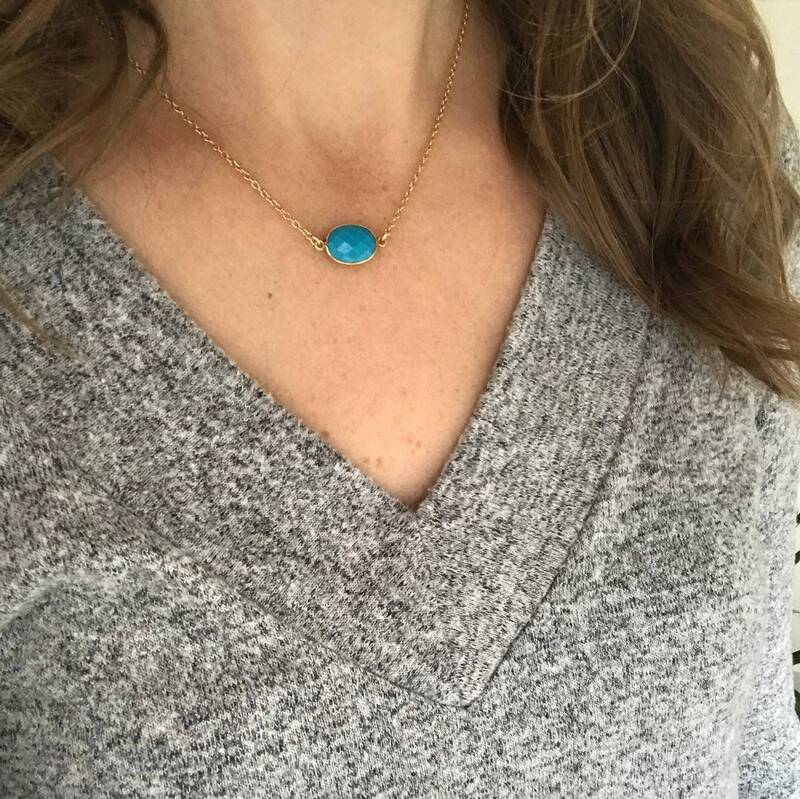 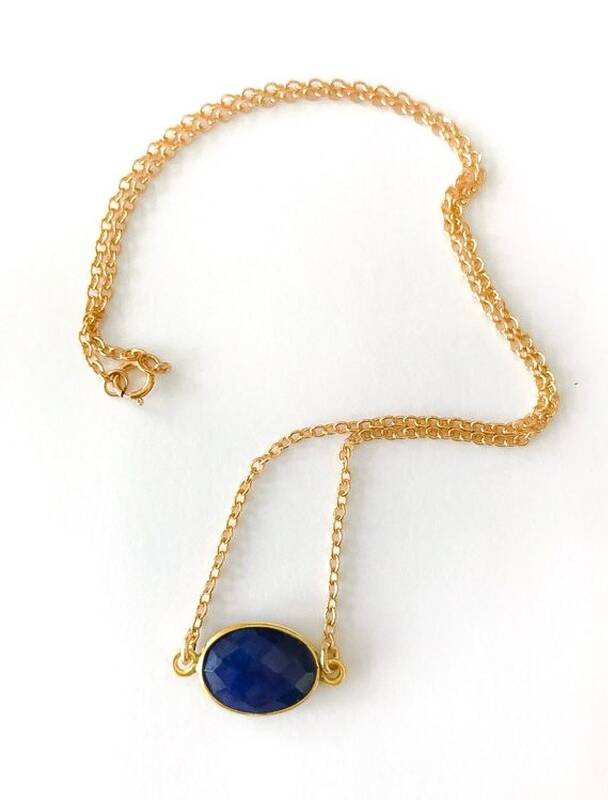 A simple and feminine necklace with a beautiful oval gemstone. 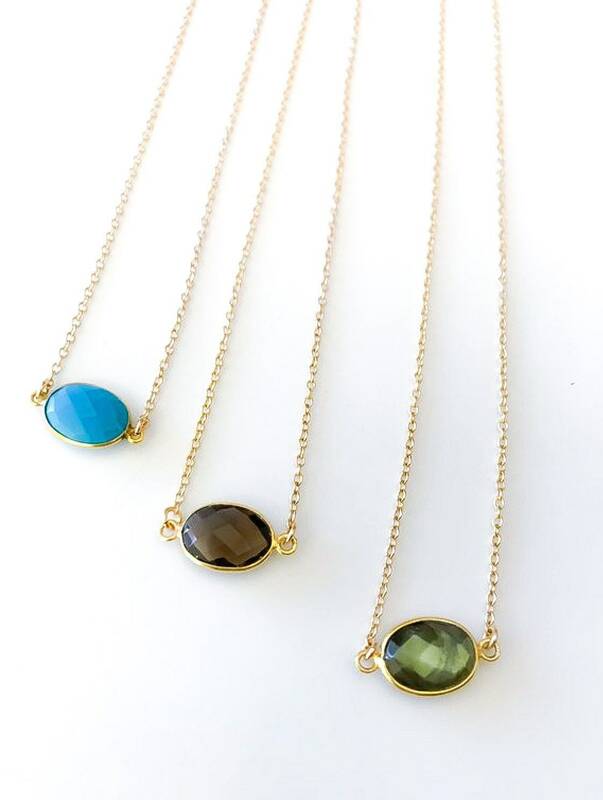 Simple layering necklace that will go with many Magpie Studio + Co. necklaces! 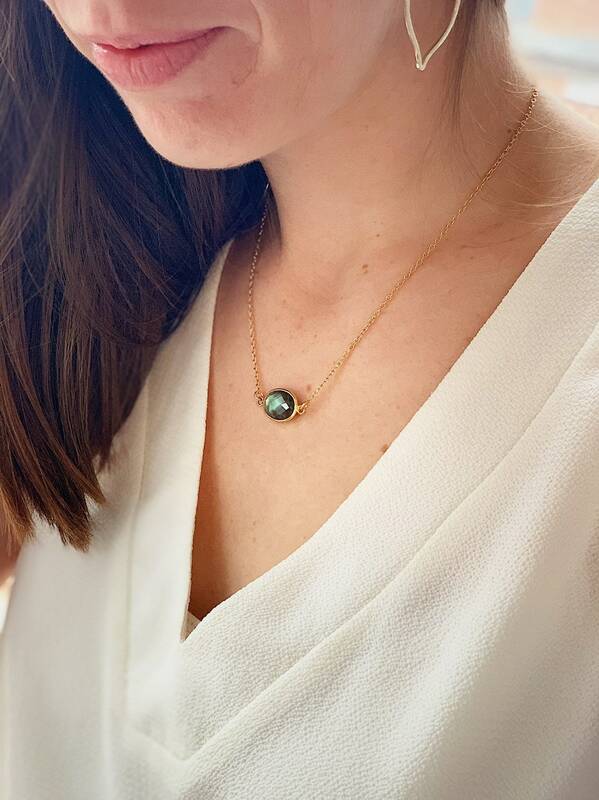 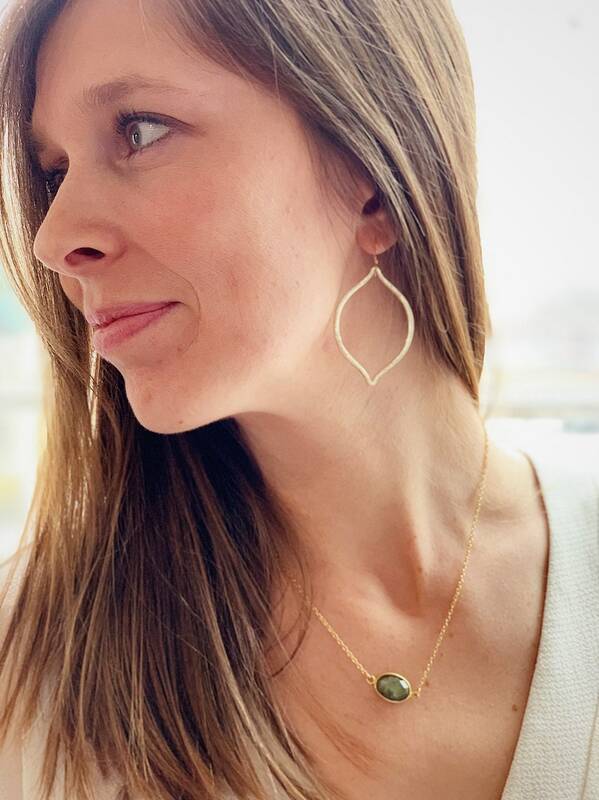 ► Model in featured image is wearing a 17” Labradorite. 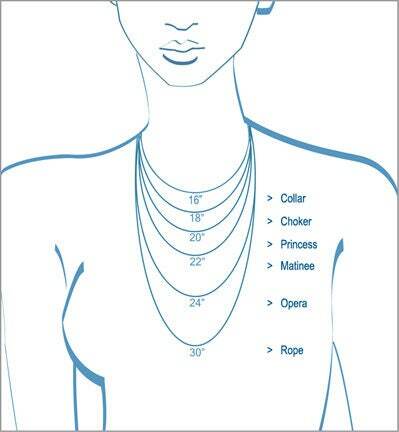 Model in Image 4 is wearing 17” Turquoise. 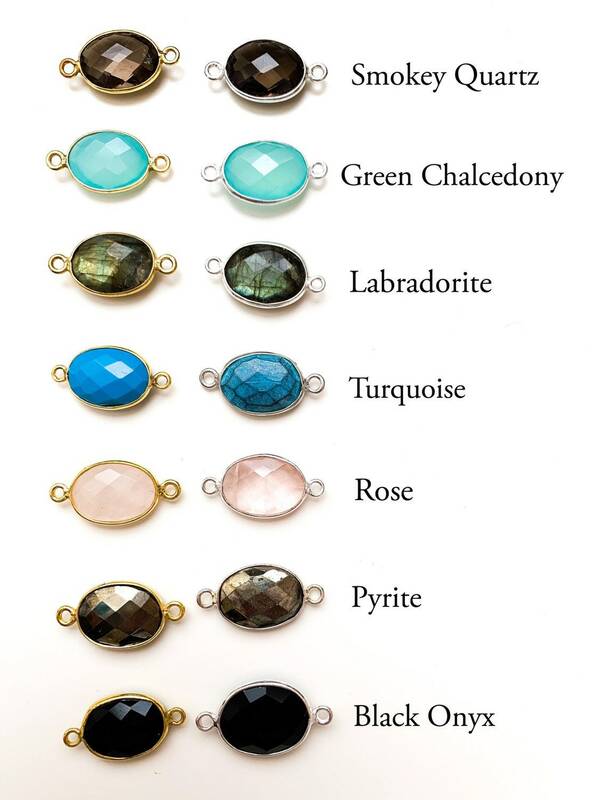 ► Note: Each gemstone may vary in shape and color since it is a natural stone.